Tentworld: Malamoo Mega 3 Second Tent, Available Now! 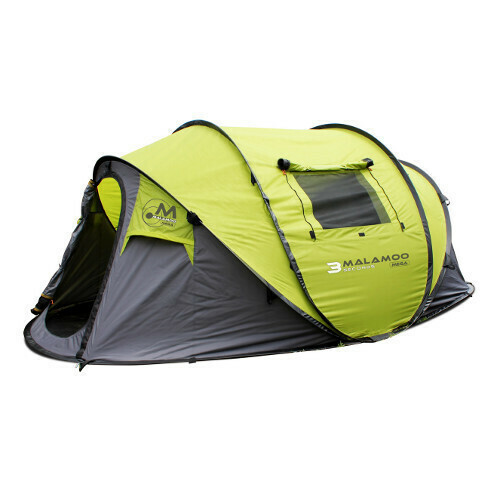 Malamoo Mega 3 Second Tent, Available Now! We've just received advise that the all new Malamoo Mega 3 Second tent has arrived in Australia and orders are being sent to all Tentworld stores now! The Malamoo Mega is the largest tent in the Malamoo 3 second tent range, and is perfect for those who want a quick pitching tent but just want a bit of extra space. To check out the Malamoo Mega price and specifications, click here! The all new Malamoo Mega by Oztent.